Very large eagle with a large hunting territory. Uncommon. Can be seen soaring on thermals along cliff edges, checking for prey in the canopy below. Main predator of Samango Monkeys. Melodious display call. Rare. 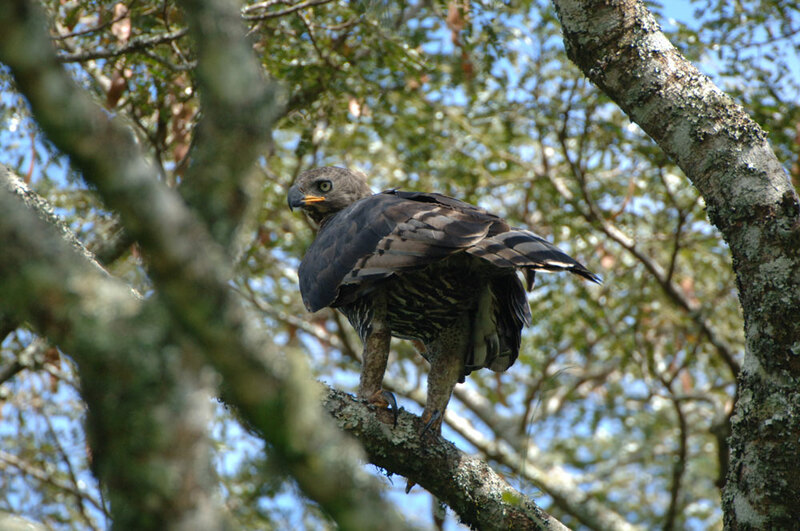 These birds are threatened by destruction of their forest habitat, particularly large trees for nest sites.